The negotiations have come to a happy end. The contract is signed. 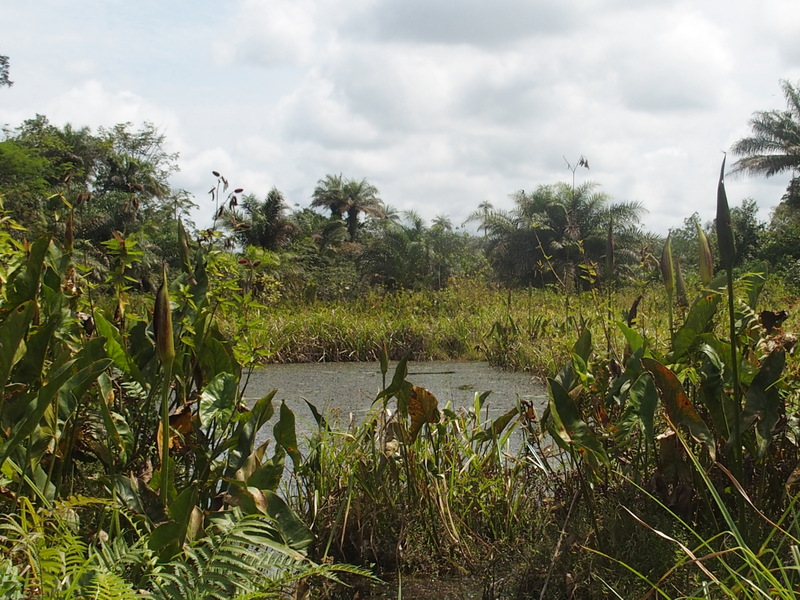 I am leasing 236.6 acres of land in Kenema. I will grow cocoa, and as it turns out, a few other crops to make an income in the interim. I haven’t been idle whilst the paperwork was in progress. The Gliricidia will rejuvenate the soil and provide the necessary nutrient for the crops. I’ve also started building a well in the plantation, so that I would not rely on the water of the village when I camp on site. As for the cocoa nursery, it is almost complete. Pictures are coming soon! 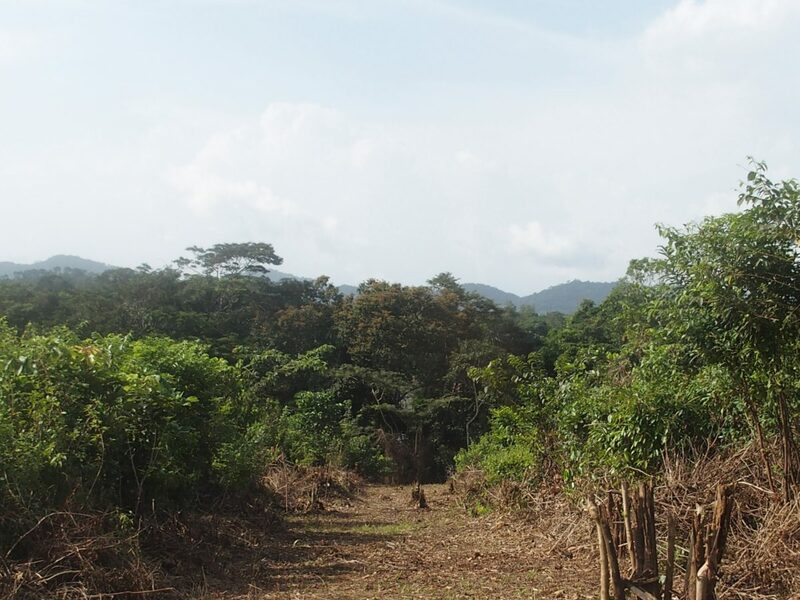 I am now spending most of my time setting up the operations in the agroforestry farm I am building between the villages of Borgbuabu and Giema, in the Kenema region, south east of Sierra Leone. 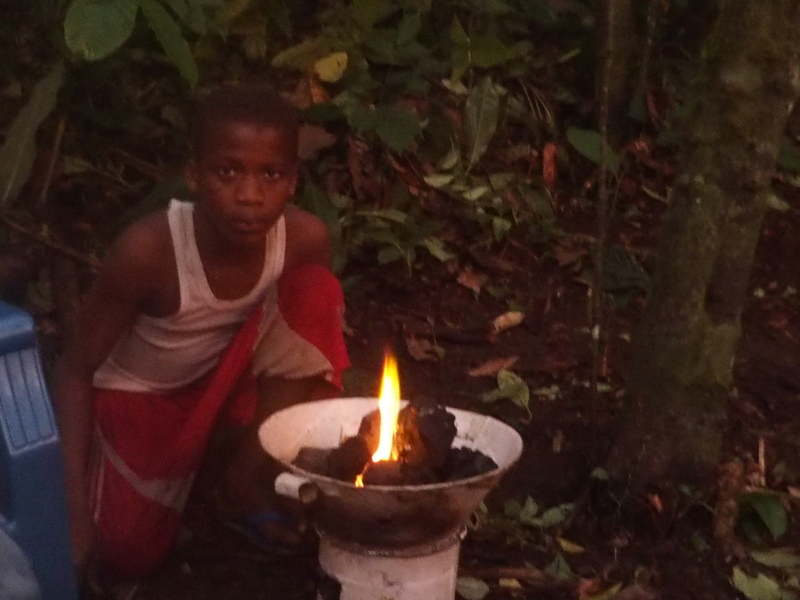 It takes about 5 hours to get there from Freetown and although I could have stayed in the villages, I have decided to start camping by the plantation. Camping is free and it’s great to be close to nature, waking up with the birds singing. A little boy brings us water every morning so that we could shower. We have all we need! Staying in a tent also gives me privacy after long days of work. When I am out and about on the farm, people tend to congregate around me, I am the new kid on the block! 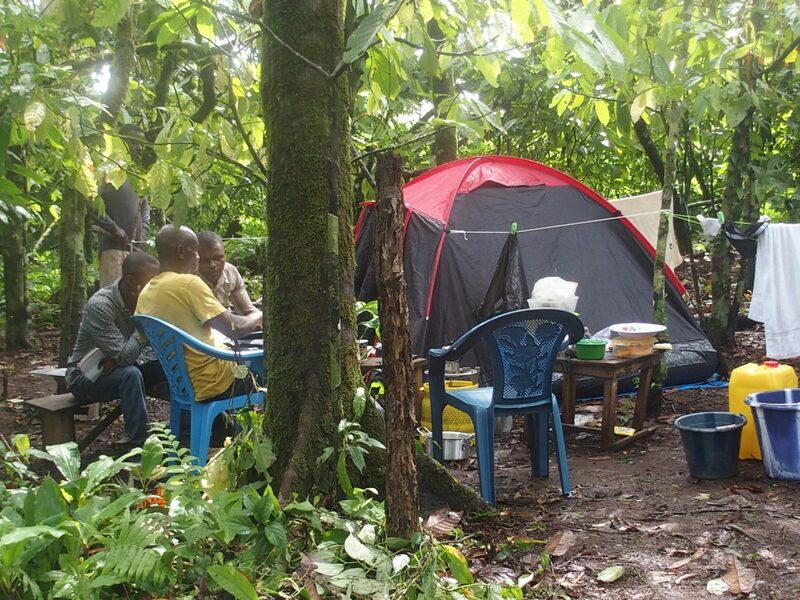 The contract is still pending final approval, but here I am in Kenema, starting to prepare the operations in the cocoa plantation. As it turns out, the land needs preparing to start planting. Existing cocoa trees, affected by black pod disease, also needs to be removed. We’ll need to ensure we take a very good care of the new crops, to ensure the disease doesn’t come back. I have been busy hiring about 15 individuals. An experienced farm manager, and manual labourers. Whilst I will be present to supervise the progress, I also need people on site to help, when I am away. I will not plant cocoa over the whole land on the first year. I will try the cacao seeds that have been given to me by the Sierra Leone Agricultural Research Institute and assess the results before doing a full plantation. I’ll also plant cassava and pineapple. A pagode and dormitories are being built next to the land, for those that need to be close to the crops and also wwoofers, that I aim at bringing to the project next year. I’m sure they will enjoy being here. 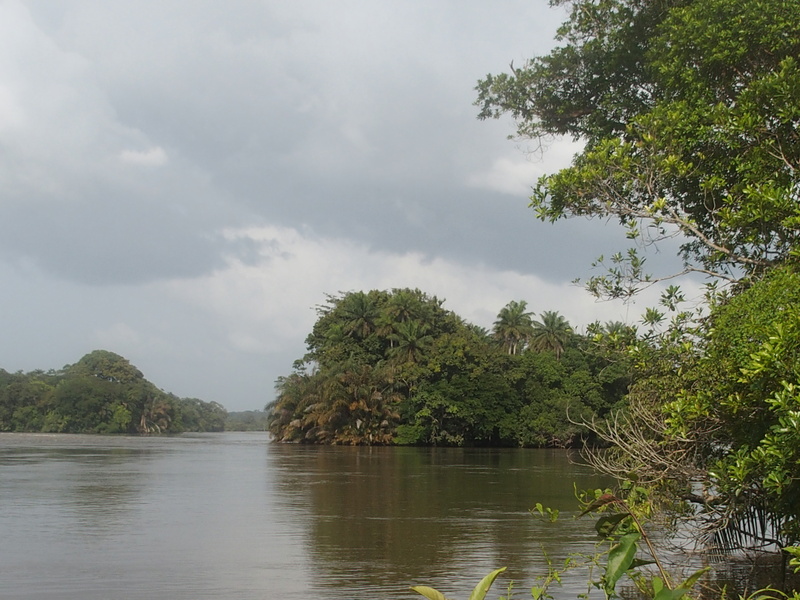 The Moa river runs alongside the plantation, it’s beautiful. The person who introduced me to the village of Borgbuabu, where I am negotiating the lease of land to grow cacao, is Paramount Chief Kanneh. He is an educated man with a vision to bring the needed changes to the villages around his chiefdom. He is also trying to champion environmental initiatives. Chief Kanneh has supported me in many ways, namely in arranging the final meeting with the Agricultural District office and the landowners. In our second set of negotiations, some of the villages objected to the lease of the land for various reasons. 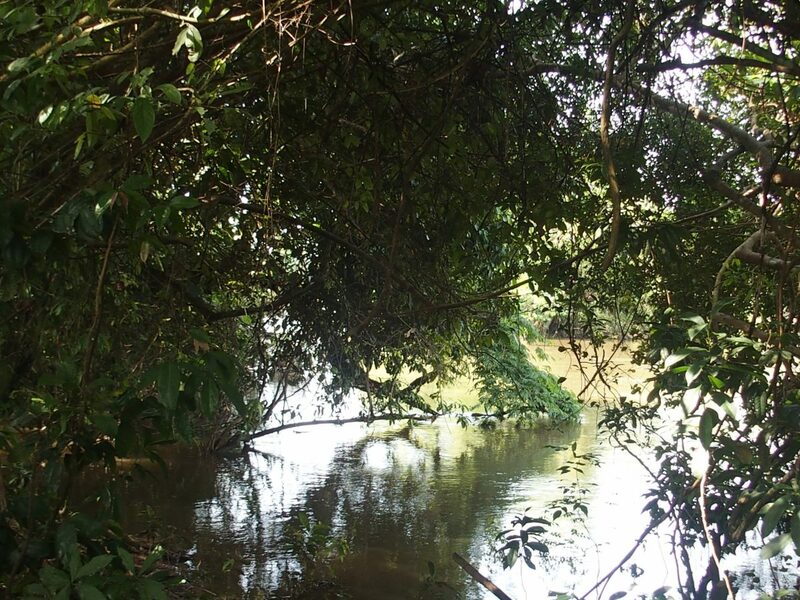 Some thought we would stop them from fishing in the river that flows behind the land. Some thought we would electrify the river whilst others believed we would be purchasing the land and they would lose it forever. Luckily the interpreter and project coordinator named Victor, who was from the Mande tribe just like the villagers, explained how their fears were incorrect. And we were able to move forward. The villages are used to being bribed by individuals interested in leasing land to search for minerals. These people usually throw some money at them whilst keeping the lion share of the profit. My challenge was to explain I needed to lease the land, in an endeavour that would take a few years to bear fruits (cocoa trees take 5 years to become productive). Therefore I wasn’t in a position, nor could I afford to pay them very much at this early stage. We finally had a breakthrough and first signed a pre-agreement, that laid the condition of the leasing of land, to grow cocoa. We then made our way to the Agricultural District office to finalise and submit the agreement for final approval. I agreed to pay some of the expenses of the villagers, for them to be present in town, for signature. Both myself and chief Kanneh have a common goal , which is to use this project as a trailblazer and a blueprint for change in the way community development is achieved. It’s a partnership between the investors and the community, which needs to be ethical and sustainable. We are both interested in ensuring that we leave a legacy that will be heralded as innovative and humanitarian. It entails training, investment, mentoring, community building , education, independence and teaching the benefits of long term planning, which would be a different for them culturally! Whilst I’m embarking in the great endeavour that is growing cacao in Sierra Leone, I am acquiring knowledge from the experts in the field. Last October, I met Professor Paul Hadley from the School of Agriculture Policy & Development, at the University of Reading. 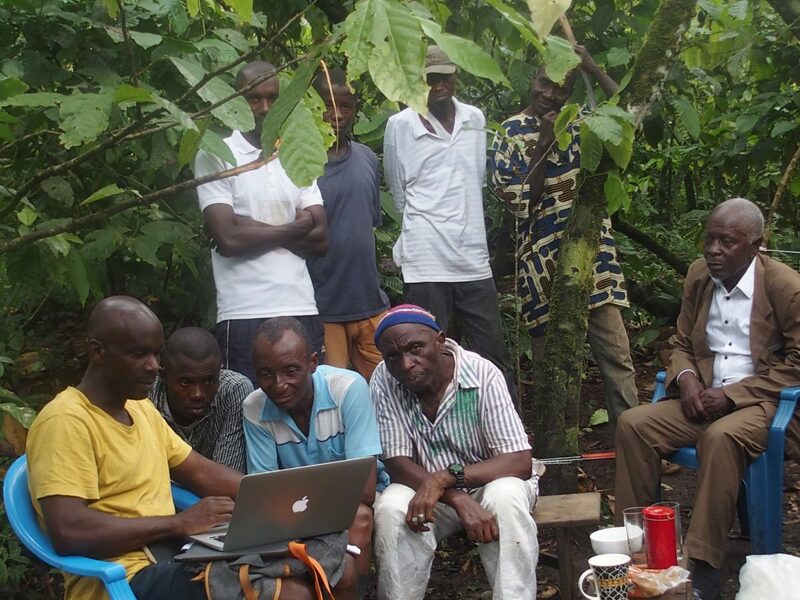 We discussed implementation of best practices in setting up a cocoa farm. His wealth of knowledge in the field were invaluable and his words, very encouraging. Back in Sierra Leone, I met Mr. Patrick Sawyer, Head of Agriculture at Njala University, Freetown. I visited his farm on site and was amazed with the success of method of his soil management and the positive effect it had on his crops which I found staggering. I learnt that soil in tropical places like Sierra Leone loses its nutrient with sustained rainfalls. Mr Patrick Sawyer created a technique to retain the nutrients, an ingenious modus operandi I intend to use in my own farm. In an agroforestry farm, trees or shrubs are grown around or amongst crops. 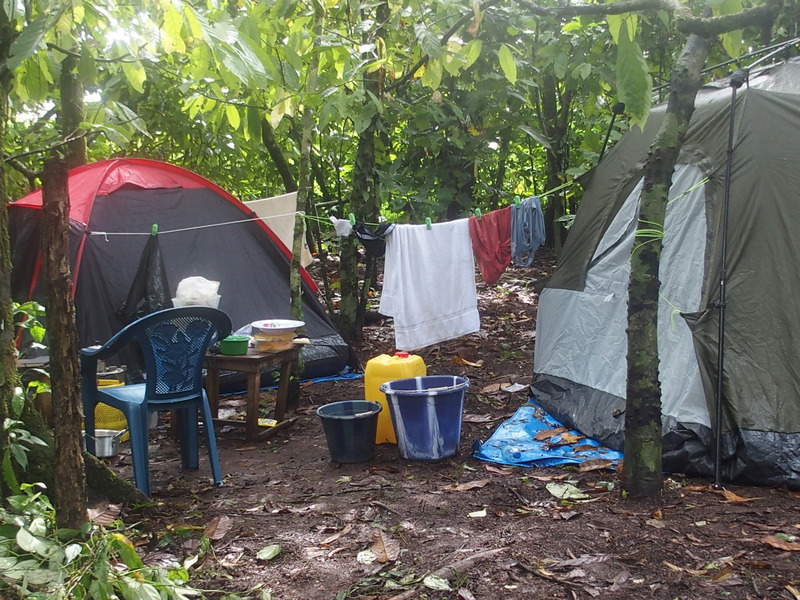 For cacao, it is a great way to provide partial shade to the cocoa tree and improve yield and sustainability. Since it takes 3 to 5 years for a cocoa tree to reach maturity and become productive, I have decided to concurrently grow plantain and banana trees, pineapple and cassavas. Once I have come to an agreement with the leaders of Borgbuagbu, I will start the process of seting up a cocoa nursery. Borgbuabu is the second village we are visiting to negotiate the lease of land, to grow cocoa. We struggled to reach an agreement with the leaders of the first village we visited, so we had to move on. We’re not only meeting the leaders, but representatives of the inhabitants of the village too. There is a person representing the women of the village as well as the youths. The negotiation is a transparent process where everyone has their say. The challenges are many. I may have a Sierra Leonean background, I am perceived as European. Clifford, my companion in the Cacao Elegguá project, the project facilitator, has lived all his life here but as a Creole Sierra Leonean, he is an outsider to the village that belongs to the Mande tribe. Nevertheless, we are making some progress, in a project that will benefit the community via a profit share model. Next: I am meeting an agriculturist, that will teach me about soil, in Sierra Leone. From an agroforestry farm in Kenema, Sierra Leone, Cacao Elegguá was born.